The Howard Hughes Corp., which plans to build two ultra-luxury, mixed-use condominium towers as part of its Ward Village master plan in Kakaako, on Friday published owner-occupant pre-sales notices for the two projects, including a penthouse with an asking price of $20 million, a record for the highest asking price ever for a new condo unit in Hawaii. Sales began on Saturday, February 1st at 9 a.m. Long lines started forming Friday at the historic IBM building, which has been renovated to include an information center and residential sales gallery for the developer’s Ward Village master plan. 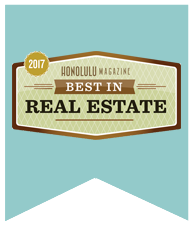 Nick Vanderboom, senior vice president of development for The Howard Hughes told PBN “We are pleased to invite all interested members of the public to join us for a first look at these exceptional residences set among dynamic public open spaces and walkable streets in the heart of Honolulu,”. Coldwell Banker Pacific Properties has been selected as the exclusive sales team for the two projects.